Doctor of Credit has a quick tip for differentiating Priority Pass cards that come with different benefits. On July 4th this happened… At the time when I read in real time on twitter I was going through a variety of emotions, now I just shake my head. Too Little Too Late from American for elite members… Gary received an offer, though I didn’t. I suspect that might be because I’ve had a total of 4 revenue segments on American this year as an Executive Platinum. United announced another devaluation. It’s not horrible but it’s certainly not good news. I still need to dig deeper myself, but Gary has a good overview. Matt shares Manufactured Spending at Sea, an interesting perspective if you’re going to spend a week or so on a ship and don’t want to let your manufactured spending drop off. It also sounds easier than going to Walmart. Ariana shares why the 5/24 Rule is no longer relevant. Are Skytrax Awards Perception over Reality? Hyatt takes Suite Upgrades seriously, generally speaking the representative will put you on hold so they can confirm with the hotel. In the off chance that the hotel does not honor that upgrade upon check-in, good things can still happen, just see FQF’s account. Doctor of Credit reports that MSing is now causing shutdowns for other US Bank cards, not just the brand new Altitude. Don’t try maximizing your Discover 5x at Costco.com – apparently it’s not showing as a warehouse club. If you’re available in early June, why not fly the new Qatar Airways Q Suites between London and Doha. 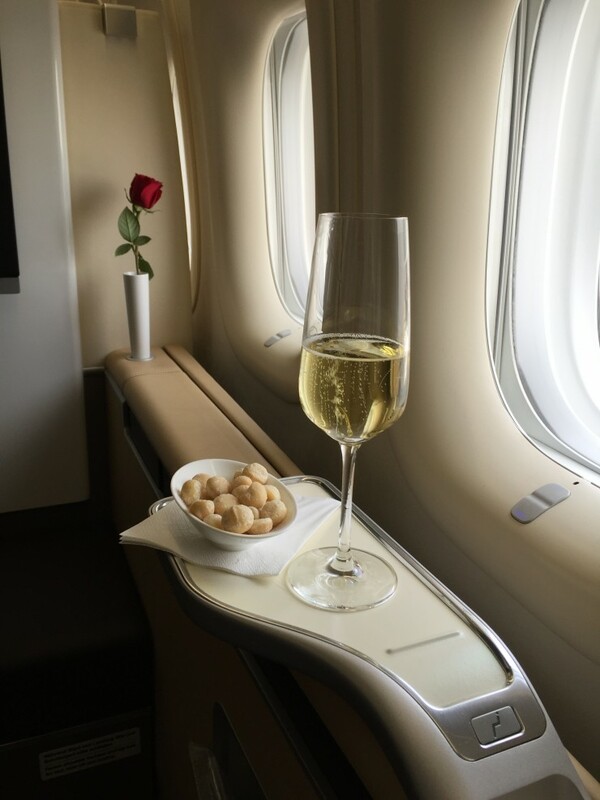 Gary Leff reports that it’ll be available starting 10 June. Frequent Miler and a whole slew of others are covering a United Airlines Prepaid Card. It will be a partnership with Netspend, which gives us an idea of how it will play with manufacturing spend. But there is so much more that is still unclear. Did you maximize your Q1 5x for Chase Freedom, Discover, Citi Preferred? 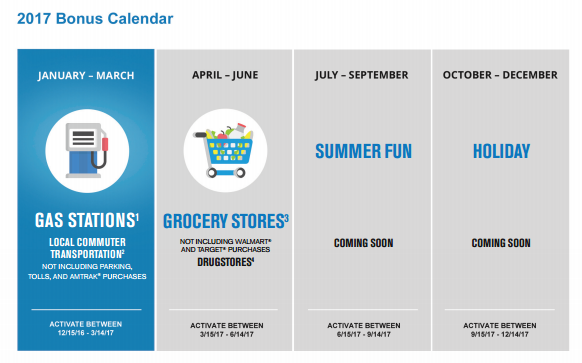 We’re just about halfway through March, which means that time is dwindling down to maximize your Q1 5x points for the various quarterly 5x cards from Chase, Discover and Citi. So consider this a reminder to get out there and maximize your points and cashback. Chase Freedom’s First Quarter 5x is for Gas Stations and Local Commuter Transportation, but note that this does not include parking, tolls, or Amtrak purchases. What does that mean? Find a gas station that has some Visa Gift Cards, or other gift cards that you think you can use in the near term. 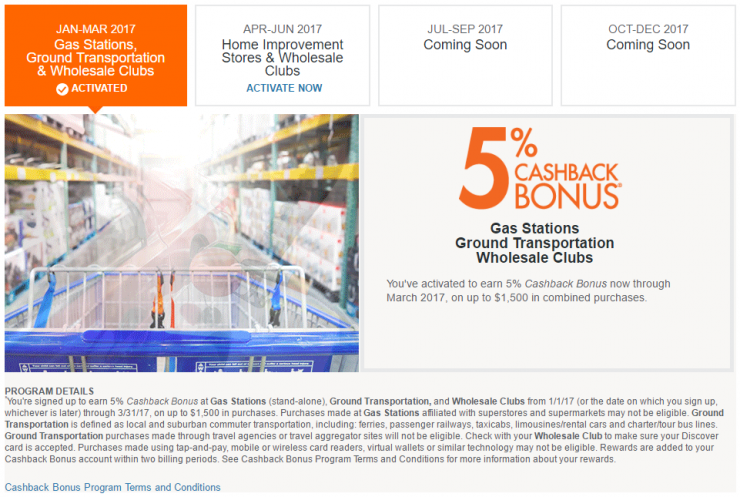 Wholesale Clubs, Gas Stations and Ground Transportation. This isn’t nearly as valuable, because Costco doesn’t accept Discover card, but I think BJ’s and Sams Club do. For resellers; remember that Sams Club and BJ’s both sell a variety of gift cards, so if you can’t find products for resale, you could at least maximize your 5x by getting gift cards for stores that you can find products for resale. Citi Dividend mixes things up, in that they are giving 5x on Home Depot and home furnishing stores. There are a variety of good things you can get at Home Depot, like batteries, as we recently changed our clocks for daylight savings time–and would be good to check those smoke detectors!–as well as lightbulbs, and other things for those “honey do” projects as we get into the spring. As we near the end of March, its a great time to make sure that you are maximizing your rotating category bonus rewards. Historically, I’ve found the first quarter to be the hardest to maximize, as I don’t do a lot with gas stations–and in fact, I utilize Costco gas for most of my refueling needs). That said, it is a good time to look back and see whether there are ways to maximize your bonuses in the final ~2 weeks of the quarter. Have you already maximized all of your 5x? If so, how did you do it, manufactured spending? Reselling? Organic Spend? I realize that I may be a bit late to the party, but I’ve only recently dipped my toes into Gift Card Reselling. I only do a little at the moment, and I am very opportunistic. I don’t work with any of the more popular portals, only one that a friend of mine runs – The Plastic Merchant (TPM). For those of you attending the Chicago Seminars 14-16 October 2016, you’ll get to meet the team, as they are a sponsor. For those of you who attended ResellingDO 3, Mike Dean, the founder, was a speaker. The key reason that I even got into this, was because of how easy TPM makes it. Once you have an account, you can log-in and see at a glance what kind of payout rates are by the various brands and gift card options. 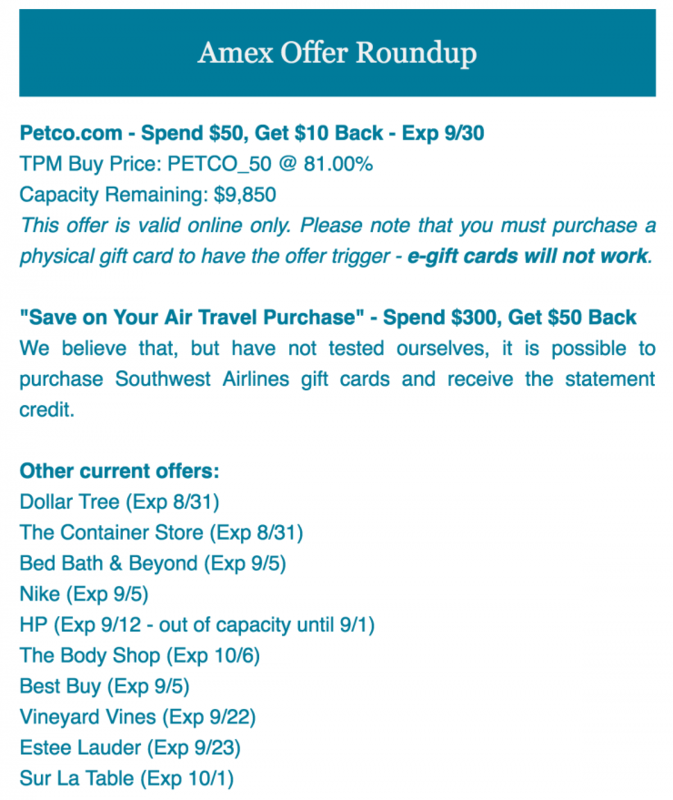 A key difference between TPM and other sites is that, TPM buys specific denominations of gift cards, represented by their SKUs. As you can tell, it’s a pretty exhaustive list of options (469 different SKUs at last check!). Of course, the real benefit to me, is that I know, before I even buy a gift card, what I can sell it at, and the rough margin (though of course rates are subject to change). More importantly, TPM also allows sellers to ‘reserve’ capacity so you know you’ll be able to sell your cards, even if the gift cards are being shipped to you later (like we see with physical gift cards). Bulk sellers are also able to view how long prices will be honored and exactly how much they’re willing to buy. The Plastic Merchant also has a variety of additional resources that really shine. 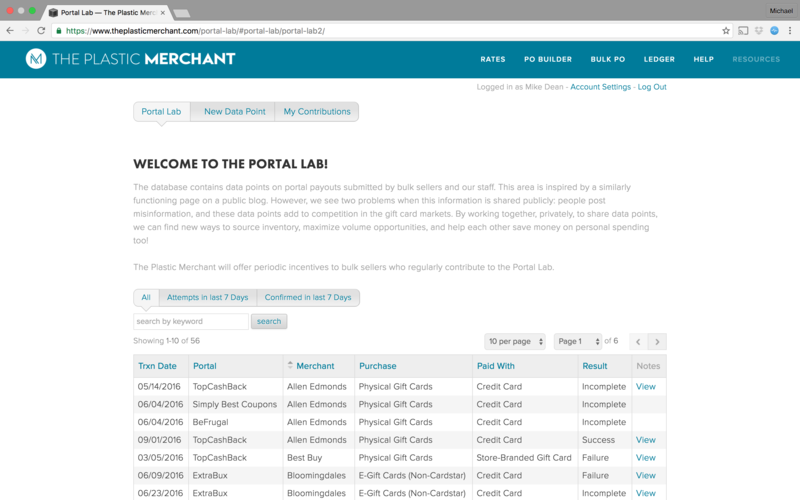 One of those resources is the portal lab, which is very similar to FrequentMiler’s Lab, but, only available to registered bulk sellers. In addition, TPM sends out e-mails every so often when there’s a particularly good deal to leverage, and even provides the TPM price, so you don’t have to go to multiple places to decide whether you want to jump on a particular deal or not. Example E-mail from The Plastic Merchant. 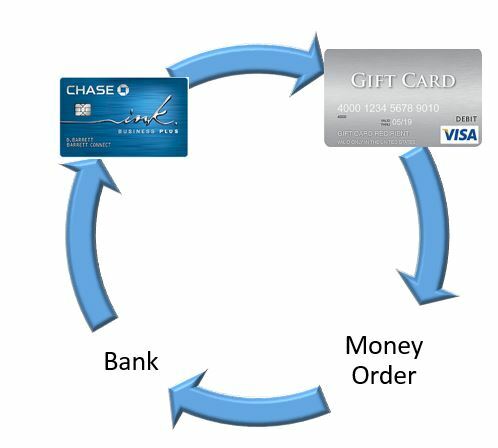 All in all, I think The Plastic Merchant is a great place to start, if you are looking to get into Gift Card Reselling. This is definitely one of those areas,where you can increase your manufactured spending. 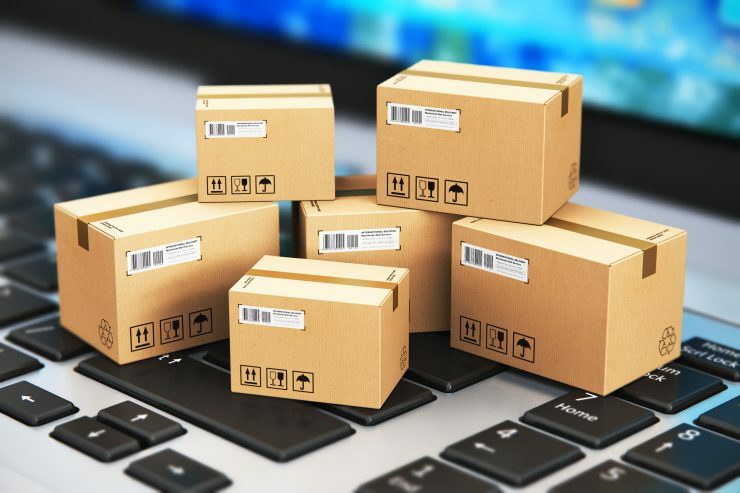 You still have the potential to generate a profit, but without incurring as much overhead or risk as reselling products. Have you signed up The Plastic Merchant? Southwest has extended their schedule to April, 2017. A word of warning though – increasingly lately, I’ve been noticing Southwest is 2x the price, so definitely cost compare. That said, lower fares are usually available when the schedule first opens. It is possible to get the illustrious American Airlines Gold Status (pretty much bottom tier) through Credit Card spend. Just not in the US. No word on how easy MS is though. Is the Pacific the next big thing for the Miles and Points community? Doctor of Credit has even more intel on the Chase Sapphire Reserve! Miles to Memories has a new cheaper way to get 5x at Office Depot. I’m also part of the Travel Hacking 101 group that this came out of – if you’re not in that group, you should be. United has long been known for having very relaxed routing rules. Unfortunately, as One Mile at a Time reports, this appears to be changing. Things are still a little murky, and, rules are usually enforced via IT, and well, we know, IT is hard. More to come, but, at a minimum, book any awards you know about, before October 6! 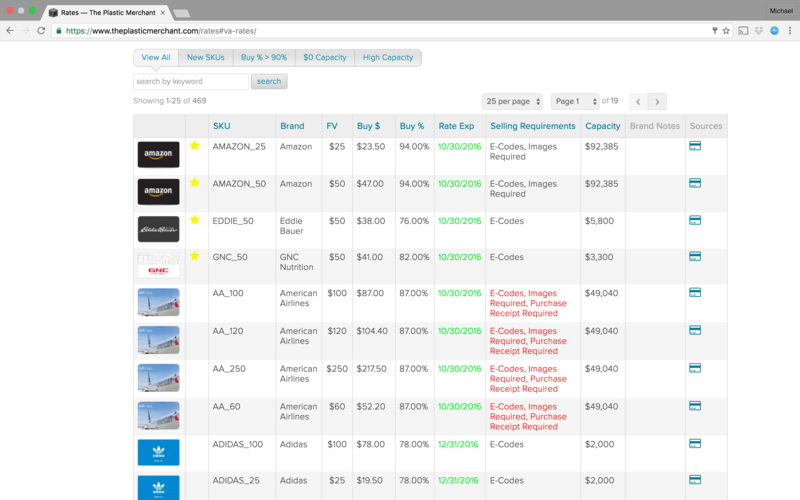 Travel Codex has a guide on searching for award travel on Air France. Gary has a great post on Korean Air SkyPass. Where should you credit your miles and points. 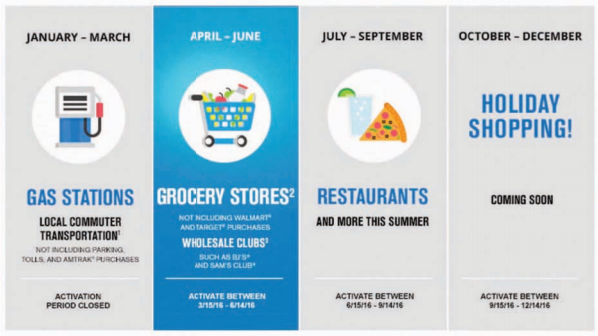 Update: Chase has extended Freedom 5x through the end of the year, so now instead of 6,000 points, you have the potential for 18,000 points per Freedom, just from shopping at Costco, BJ’s Wholesale, and others! I mean, you totally could have used your Freedom at a grocery store, to buy, you know, groceries, or, other less edible–cough; plastic–things that you can buy at a grocery store. Or, you could be the ultimate procrastinator and have gotten to mid-June and realized that you have let your Freedom(s) sit in your credit card drawer–since lets be honest; there are more credit cards than socks in there now–and now you’ve got to find a way to maximize, and quick! 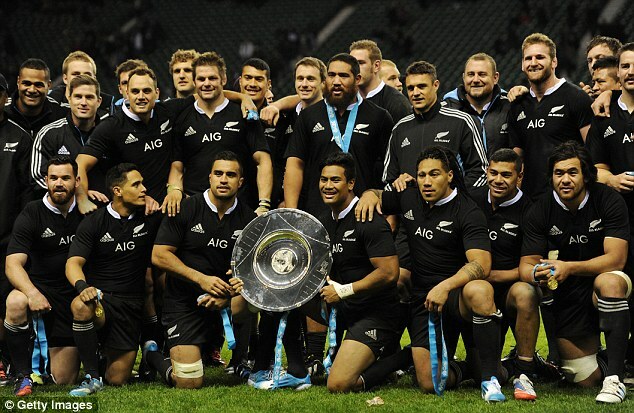 New Zealand’s All Blacks Rugby Team, they clearly need a lot of protein, easy to maximize Freedom 5x with these guys! Or maybe you are getting fully stocked up for the impending Hurricane Season. But, I don’t have a Rugby Team to feed, what should I buy? Ok, so you don’t want to fill your basement with water and toilet paper, or throw a barbecue for the whole town. So what else can you buy? I think there’s plenty of opportunity to spend $1500 at Costco in the final days of June. You’ve got plenty of options when it comes to great products, stocking up, or grabbing gift cards. I personally will be doing something slightly different, in line with my reselling business. What will I be buying? Well, I’ll know it when I see it. 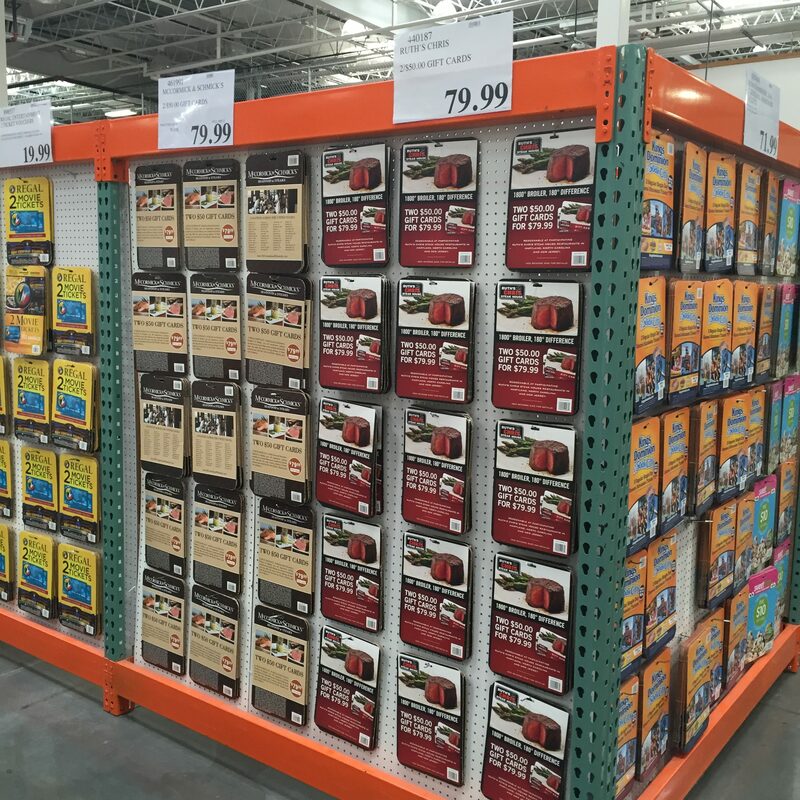 But you can be certain that I’ll be walking through Costco with my FBA Seller App (and Part 2) open. Either way. If you haven’t maximized your Chase Freedom 5x for 2nd quarter, Costco has you covered, assuming your a member. And if you’re not, and you have a wife, family, or rugby team, I think you’ll find great values there, so its worth checking it out. A couple of days ago I had an interesting conversation that turned toward manufactured spending, with my friend, who runs the Facebook Group Travel Hacking 101. He had shared the news about the AAdvantage program changes and asked the group whether that would lead to loyalty changes. He then followed up to say that he’ll continue to not pay for flights (I suspect, through using miles/points and cash back). My response was something to the point that there is always a cost. He ultimately responded that his only true cost was time. Time is definitely not free. There is always an opportunity cost. You could be out on the golf course, but instead you’re standing in line at Walmart. You could be working, and earning a higher per-hour rate, than you can generate via miles and points. – Cost: how much did we think a program was going to cost, and how much it is trending to cost–although that may be overly simplistic. – Schedule: how long did we think the program would take, and how long is the program trending toward taking based on delays and early completed tasks. 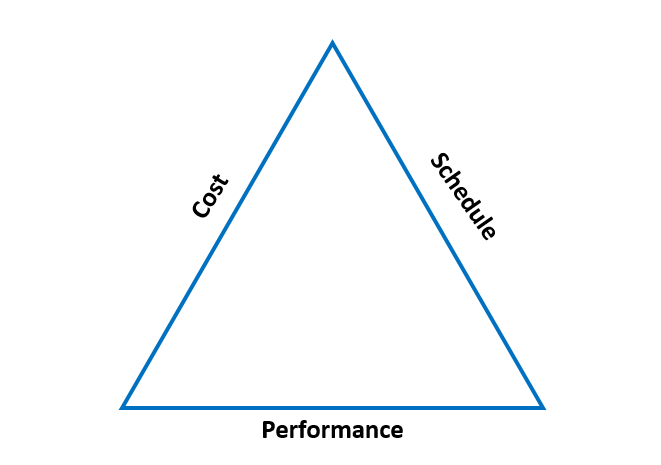 – Performance: is the program doing what we said it would do, is it meeting the desired goals at the start of the program. 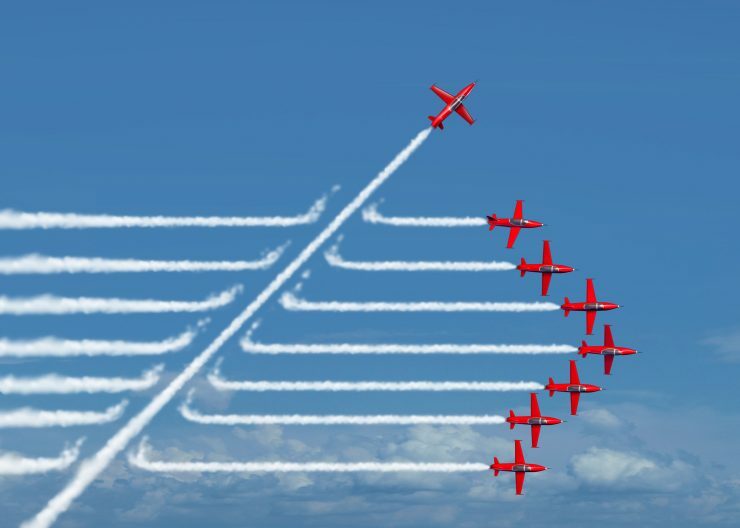 – Performance = the result of those points and miles you generated, this is impacted by internal (ability to maximize/utilize the points), and external (devaluations, award space limitations) factors. Really my basic point is – despite all the discussions of free, nothing truly is. Normally we talk about opportunity costs, but if you just take the basic view that your time is worth some amount of money–e.g. your hourly rate, or salary broken down to an hourly rate–then manufacturing spending in turn has a cost, even if you pay yourself back with cashback; unless you’re generating so much cashback, that you can replace your hourly rate, in which case, maybe you should just manufacture spend for a living. Mommy Points is keeping an updated post with Travel related Black Friday Deals. Worth checking back on, so far the most interested one I’m seeing is 20% bonus on Fairmont hotels gift cards. Ed Pizzarello highlights some good Black Friday deals at Amazon. Not really opportunities to resell, but I picked up an Echo for myself, figured, why not give it a try. Also, if you had your heart set on a doorbuster deal from a brick and mortar store, Trent reminds us, check to see if Amazon has matched it. They’ve matched a ton! The First Boeing 757 landed on a Blue-Ice Runway in Antarctica – Seems like this could bring the ability to get to Antarctica closer..! From Vinh (and one I found from the below Chasing the Points post), using the AMEX Platinum Concierge for travel planning. Incredible! Get the most out of your $450 annual fee! Scott asks: Are airlines becoming more reliant on selling miles? Sure seems like it! Air Canada’s Altitude frequent flyer program ties status to spend… I dare say that the Altitude has Attitude! Tahsir shares a different view on manufactured spending and leveraging the $20 off $300 Office Max Visa Gift Card deal. Chasing the Points offers that you should design a SWOT (Strengths, Weaknesses, Opportunities, Threats) Analysis to identify your core competencies. Some of the things he’s found are pretty Weltnschauung changing, at least to me. How Much Do You Try To Dress Like a Local When You Travel? Belated Happy Thanksgiving, and because ya’ll rock so much, I included some tools and tips for Black Friday! Including a Kohls Discount code!